Our ‘Kids on 2 Wheels’ program aims to teach kids how to ride safely, skillfully and confidently on a two wheel bike. It caters for kids who can’t yet ride through to those looking to improve their skills and knowledge in shared environments. We are based on the Gold Coast (Queensland) and can provide services as far North as Brisbane and South to Byron Bay (NSW). This is a one on one session where we teach your child how to ride independently on 2 wheels. At the end of this session the majority will be successful in riding independently. Most importantly, they will associate riding a bike with having fun! Parents/guardians will take home valuable advice on how to progress their child’s riding experience. We will endeavor to conduct the session at a time and venue suitable for you. For further details or to register your interest please contact us on [email protected] or call Chris on 0408092592. This workshop teaches children 4 years and over how to advance from training wheels or balance bikes to a 2 wheel bike. During the interactive session parents or guardians develop an understanding of the techniques used to progress their child to riding safely and successfully on 2 wheels and be part of this important milestone in their child’s life. At the end of the workshop, kids will have experienced learning the skills of riding on 2 wheels and the majority will be successful in riding independently. Most importantly, they will associate riding a bike with having fun! The workshop is conducted as a group session for a maximum of 10 children with a ratio of no more than 5 children to an instructor. Parents/guardians are expected to take an active role with their child. A one on one session with an instructor is also available by request. The program is open to children 4 years and over. Sessions will be conducted by Cycling Australia accredited coaches. *All children will receive a bike/helmet check prior to the workshop. For further details or to register contact us on [email protected] or call Chris on 0408092592. This foundation workshop aims to provide kids with the knowledge and techniques to give them the best start on their bike. It teaches children 5 years to 12 years who can ride a 2 wheel bike, basic bike control skills to ride confidently and safely. Children must be accompanied by a parent or guardian who will take home valuable advice on how to progress their child’s riding experience. The workshop is open to children 5 -12 years who can independently ride a 2 wheel bike. There will be a maximum of 10 children in each workshop. Sessions will be conducted by Cycling Australia accredited coaches. For further details or to register please contact us on [email protected] or call Chris on 0408092592. This 6 week program teaches children 5 years to 12 years who can ride a 2 wheel bike how to ride safely by developing their knowledge, skills and confidence in a fun, learning environment. It extends on the skills and techniques introduced in the Beginner Cycle Skills and Safety Workshop to reinforce the child’s confidence and ability in a supported environment. The program focuses on bike control skills so that kids are given the techniques to allow them to ride proficiently in an off-road environment. The program is open to children 6 years and over who can independently ride a 2 wheel bike. There will be a maximum of 10 children in each workshop. The course will be conducted by Cycling Australia accredited coaches. Riding in a group with family and peers can be a fun, social activity that is a great way to get around and keep fit. This workshop teaches children 6 years to 15 years the skills and techniques of proficiently riding with others. 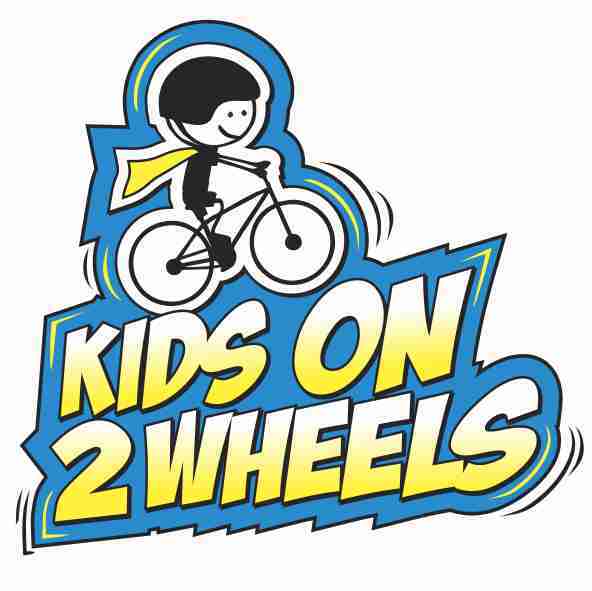 The program is open to children 6 years and over who can independently ride a 2 wheel bike. It is recommended that they have completed the Beginner Cycle Skills and Safety Workshop or equivalent course as a minimum before enrolling in this workshop. There will be a maximum of 10 children in each workshop. The course will be conducted by Cycling Australia accredited coaches. The Kids on 2 Wheels program is run by the reputable Cyclesense = Excellence (CS = E) which is an accredited AustCycle training provider. All Coaches are AustCycle accredited Teachers holding a current Working With Children Check (WWCC) and First Aid certificate. Chris Thompson, the Managing Director of CS = E is the Principal Coach of the Kids on 2 Wheels program. Chris is a former State Champion road cyclist who has been coaching and instructing cyclists of all abilities for the past 16 years. He conducts courses, sessions and workshops for kids and adults from beginners through to elite riders. Many kids on the Gold Coast have benefited from Chris’s expertise for the last 3 years in the City of Gold Coast Children’s Cycling Workshops including ‘Training Wheels to 2 Wheels’ and the Beginner/Intermediate Cycling Courses. All CS = E coaches have a passion to promote the enjoyment of cycling attained through developing skills and confidence on the bike.